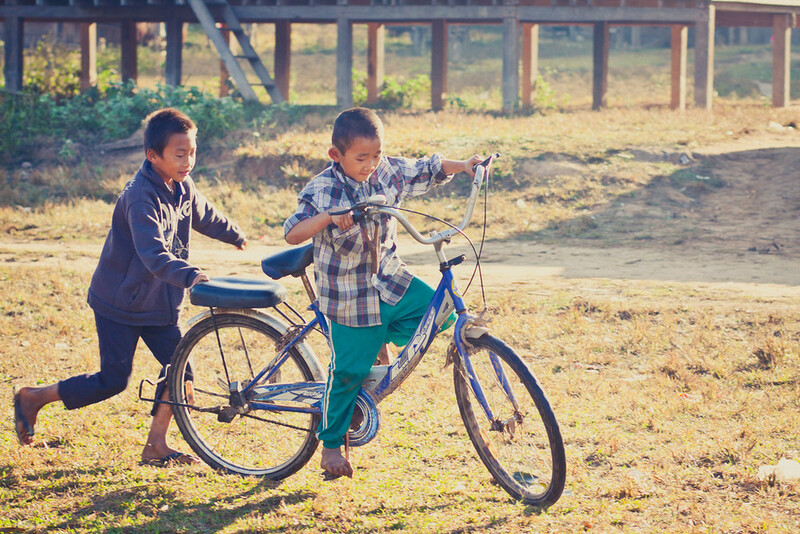 The Bokeo Development Fund (BDF) is a grassroots organization that helps to create toilet facilities and water systems in the remote villages of Laos’ Bokeo province. Our aim is to work with the people of Laos on their own terms to build a safe, healthy, and sustainable sanitation environment. The BDF is community-driven in nature; we work WITH villages, not for them. Residents always participate actively in our projects because we understand that development is about education, empowerment, and collective achievement. Real long-term improvements in the conditions of a community are fuelled from within; development simply doesn’t work when the drive for change comes only from outside. To this end, decision-making is undertaken through the traditional village power structures in conjunction with both the BDF and government. This means that the communities themselves take ownership of BDF sanitation/water projects. Villagers participate actively in construction and raising awareness of the benefits of improved sanitation/clean water. Aid recipients gain more than just a toilet or access to running water; they gain the knowledge to both maintain and expand the projects in the future. Avoiding a culture of dependence on foreign aid is extremely important to BDF; the maxim ‘give a man a fish, feed him for a day; teach a man to fish, feed him for a lifetime’ outlines the approach we take to our development work. ALL paid BDF employees are local people. Toilet/water system recipients are required to take direct part in construction of the facilities. We ensure that our partners are gaining the knowledge they need to maintain their facilities, and that they also gain knowledge about sustainable ‘improved sanitation’ practices that can be passed on to others in the future. By making sure we follow a collaborative approach every step of the way and by respecting traditional decision-making structures, we ensure that communities are directly involved in the sustainable construction of their future without developing a dependence on aid from above.